Beavers Bend State Park is roughly eight miles north of Broken Bow, OK. Canoe, kayak, and pedal boats can be rented in the State Park. There is the option of taking a river trip that will last a few hours. Or, you can just paddle around at your own leisure. The water is clam and great for beginners. The scenery is beautiful and visitors can explore the pristine shoreline and natural beauty found at the park. The steep hillsides juts in and out, making one feel like an early explorer meandering through the unknown. The water is crystal clear and cold, as it is flows from the bottom of the dam. This location is only a few minutes from any one of our cabins. If you are a little more adventurous, taking a trip that last several hours may be for you. A few miles east of Broken Bow on Hwy 70, there are several private canoe and kayak rental companies. They do not use the same area found in the state park. These companies are located about 20-25 minutes from our cabins. The service they provide includes driving guests to a drop off point on the river. After dropping off, guests will have a set amount of time to float down the river. The amount of time allowed depends on what length of trip was chosen. Each trip has it's own designated pick up area. Please contact rental company to get information on trip distances. These trips are quite different than those found in the state park. Once they drop you off, you are on your own until you reach the end of your trip. If you have never been in a canoe or kayak, it could be a little frustrating. On the other hand, people love the idea of completing the trip. It makes it a little more challenging to know you have to reach that pick up area. Whichever area you choose to paddle or float, the Lower Mountain Fork River will not disappoint. Having been an owner, manager, and housekeeper of two cabins in the Beavers Bend area of southeastern Oklahoma for over five years, very few guests have disappointed us after their departure. By disappointed, I am referring to the manner in which a cabin is treated and left after a stay. Of course, we understand guests are visiting the area to have a good time and cleaning or having to worry about task after task takes away from the freedom a vacation is designed for. So, we have a basic set of rules that pertain to the tidiness a cabin should be left in. They are posted online, as well as in each cabin and each email confirmation. Many guests go above and beyond their "responsibilities", which makes us feel great. When the cabins are left better than we expect, we take it as a thank you from the guests and make notes for the future. One topic that has been brought up quite often over the past month or so, deals with cleaning fees. Several emails and phone calls have inquired if we charge cleaning fees. Prior to the last few weeks, we had never received any direct questions about cleaning fees. Our policy page clearly states there will be additional cleaning fees if certain policies are broken, but none other than that. It turns out several management companies in the area have recently started charging their guests a mandatory cleaning fee prior to their check-in date. These range from $45 - $65 nightly. We wanted to make it known to all potential guests we do not charge you a cleaning fee, unless you violate the policies/rules that were agreed upon at the time of the reservation. We believe we have had great success with our past guests by trusting them to honor the policies. In turn, based on the thousands of journal entries and emails, they appreciated the affordable, clean, and well maintained properties. So, we will never charge any guests a cleaning fee prior to their arrival. Innocent until proven guilty is how we see it. But rest assured, our cabins have been and always will be cleaned and sanitized. It's just not something the guests will be out-of-pocket for. Finding a well maintained, clean, and comfortable cabin can be a task in itself. What about that same cabin with a private, natural Beavers Bend setting? 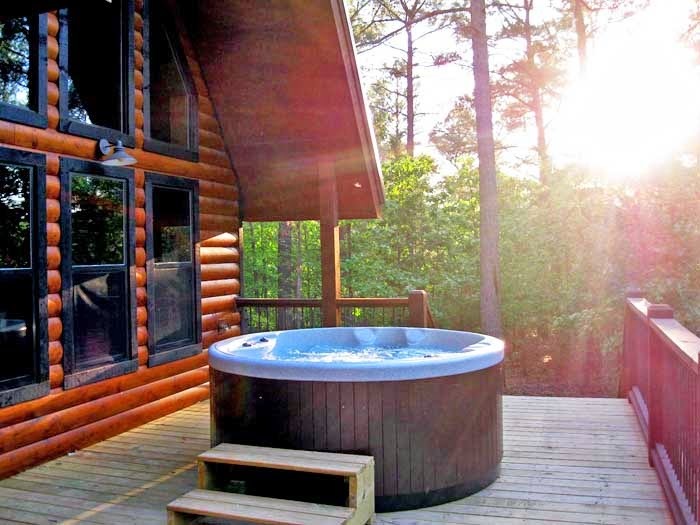 The Beavers Bend Hideaway private 40 and 20 acres tracts are home to six three queen bedroom cabins. 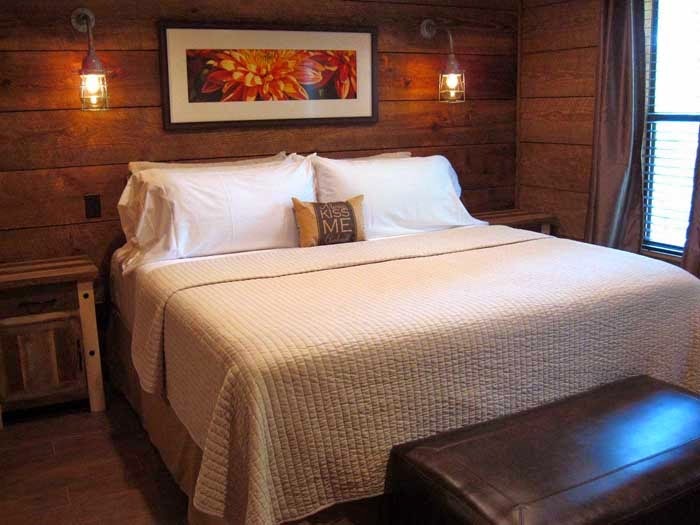 The 40 acres is dedicated to five of the three queen bedroom cabins. 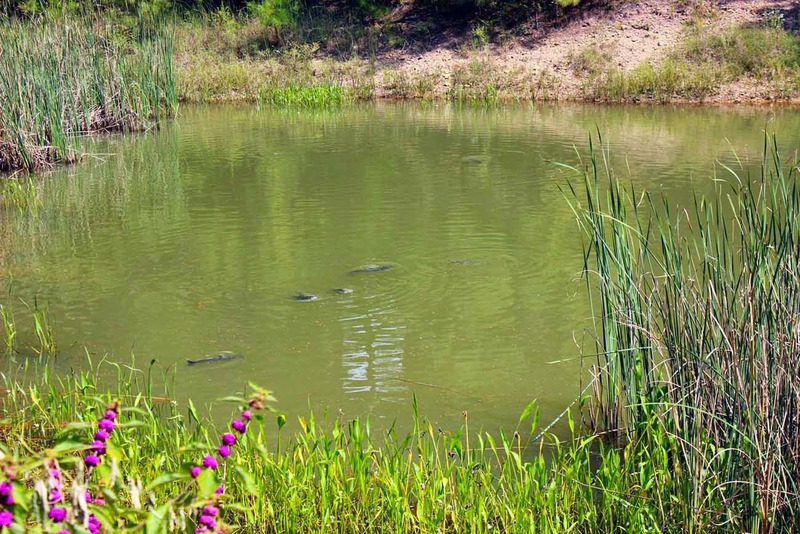 The acreage has several ponds. One of those is stocked and considered a catch and release only. Around this fishing pond set three of the cabins. They are Water's Edge, Tranquility, and Redbud Retreat. They are approximately 45 yards apart from one another. About 200 yards from this pond is where the Bear's Den cabin is located. Then separated by a small pond, about 60 yards away, is the last of the three bedroom cabins. This cabin is called Shaui Chukka. 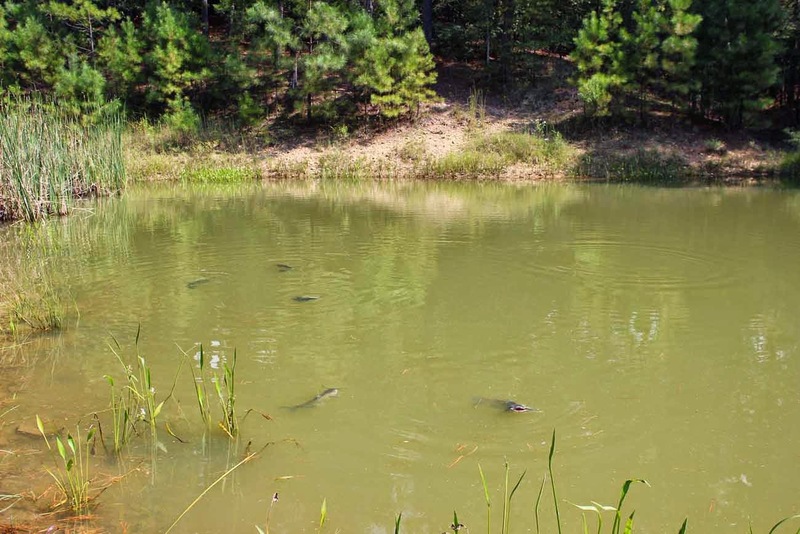 Only guests of the cabins have use of the forty acres and the fishing pond. The property has a paved blacktop road that is perfect for a stroll or bike ride. Outdoor activities with ample space can be enjoyed throughout the acreage. 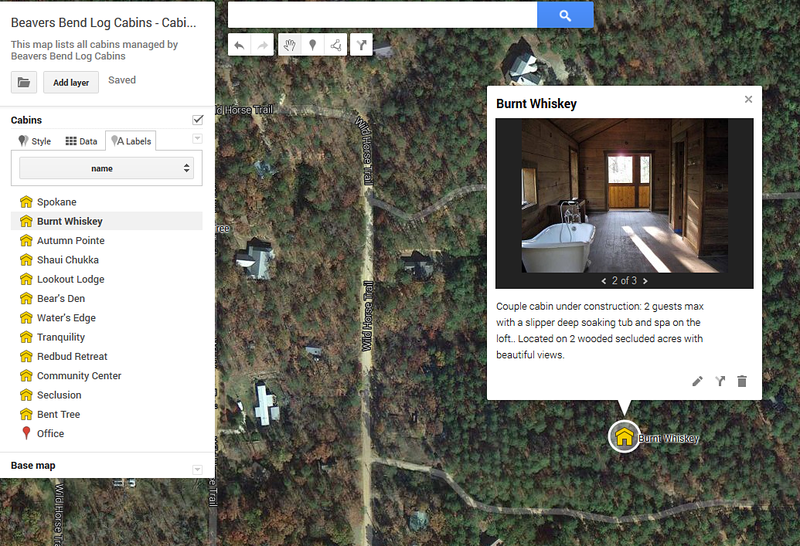 The other private 20 acres are reserved for the Seclusion cabin. It is also a three bedroom cabin. However, it has two king sized and one queen sized bed. All of the cabins sleep a maximum of eight guests, children included. 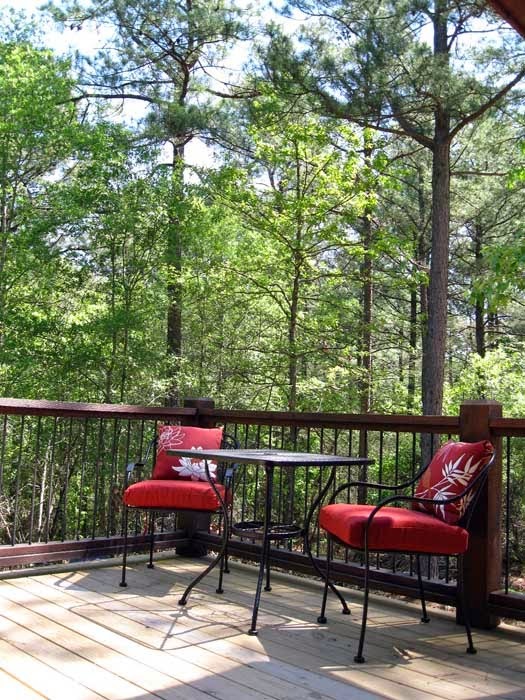 From this property, you have panoramic views of the natural woods as far as the eye can see. You will see no other cabins, roads, buildings, or anything from Seclusion. It is as secluded as you can get in the Beavers Bend area. 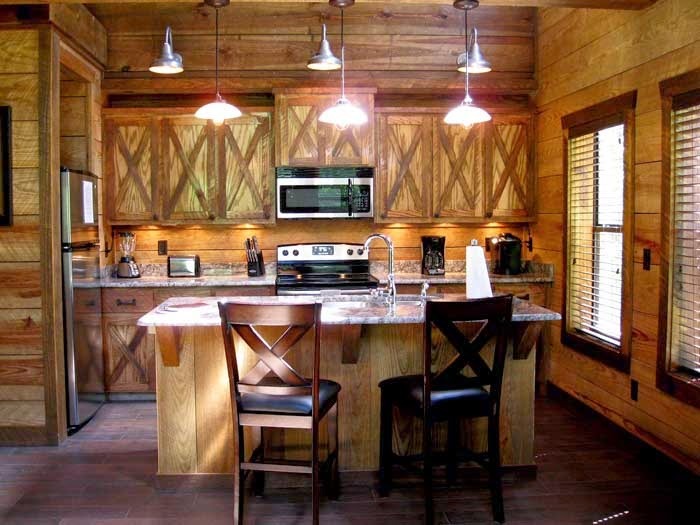 These cabins are currently being managed by Beavers Bend Log Cabins, and can be referred to by cabin name or as Beavers Bend Hideaway when inquiring. 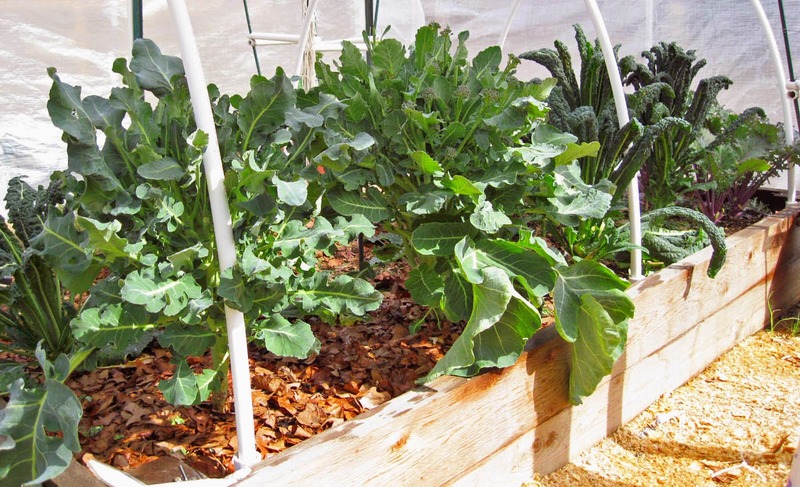 A few years from it's inception and our first garden has matured into a well behaved recycling machine. It never sleeps, not even when smothered in blankets and plastic during one of those so called "polar vortexes" It's life and ours have now become beneficially symbiotic. When the rain doesn't come, we keep her satisfied with freshly pumped water from the river beneath that flows through the village. 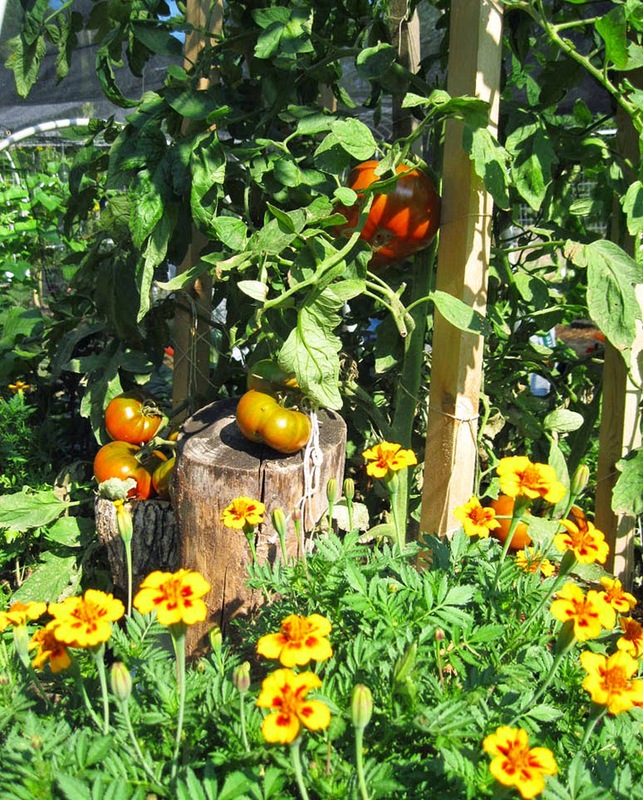 In turn, colors and taste are rewarded with nutritional benefits that keep us living. Burnt Whiskey, opened on May 7, 2014, is designed for the adult couple. Located on two heavily wooded and private acres in Wildhorse Plantation, the property features an open air loft with a deep soaking slipper tub and double french door screened in balconies. These doors are located on the east and west side of the cabin loft, creating beautiful elevated views of the area, as well as the sunrise and sunset. It is located within ten minutes to all of the attractions found at Beavers Bend State Park and Broken Bow Lake, Oklahoma. The location of Burnt Whiskey is on one of the tallest peaks in it's immediate area. This setting gives complete privacy from any other property, as the elevation does not allow others to see in. 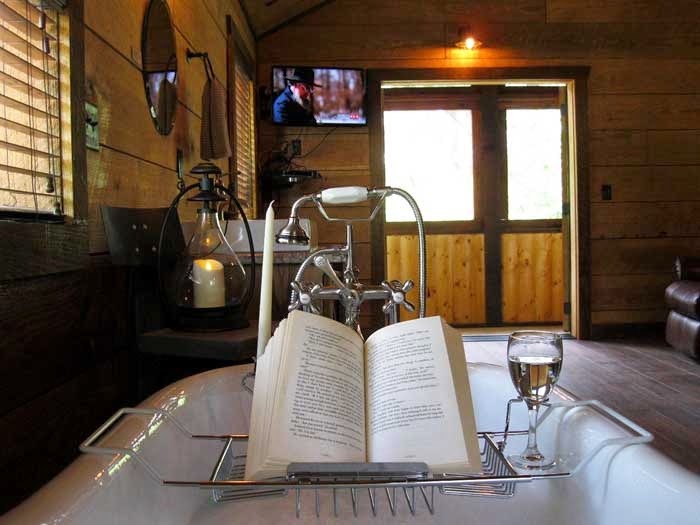 This feature lets guests bathe in complete privacy with the fresh Kiamichi air flowing by. Also located on the loft is a private toilet room and a sink. A leather recliner with reading lamp and 32' HD TV with full HD Dish Network programming and a blu-ray player can all be enjoyed from the tub or recliner. A 30' game table can also be found on the loft with an assortment of board games provided. Ceiling fans on each side of the loft keep the temperature perfect year round. With foam insulation throughout the cabin, there are no fluctuations in temperatures. During the warmer months, this will keep Burnt Whiskey at a pleasant 72 degrees with little effort. The first floor living area has a 50' HD TV with full HD Dish Network programming, a blu-ray player, and a leather couch with double ottomans. A rock vented gas burning fireplace sets below the TV. It's hypnotic glare will make any chilly night warm and cozy. Wireless internet is provided throughout the cabin, while wired internet can be connected at the modem located by the leather couch in the living area. The fully equipped kitchen has solid granite countertops and custom cabinets. Everything necessary to complete a gourmet meal is also provided. Flatware, plates, glasses, pots, pans, and utensils can all be found in the spacious kitchen. Also included are an electric range/oven, dishwasher, refrigerator, microwave, blender, Kureig brewing system, Mr. Coffee 10 cup coffee maker, double basin stainless sink, and toaster. A private master bedroom with blackout curtains over the two windows gives couples the option of waking to the sunrise, or extending their night indefinitely. It won't be difficult to sleep in for either of you, as you will be surrounded by the comfort of the king-sized luxury 12' memory foam mattress. The master bathroom features a basin sink, and a one piece, extra wide, lighted acrylic shower. A private toilet room, closet, and addition shelving make up the rest of the bathroom. Outside on the large elevated deck, a five person hot tub sets ready for couples to soak in the sounds and sights found nowhere else. Frogs come alive with song during the warmer months, as the deck overlooks our private pond. This pond is NOT included for use with the Burnt Whiskey rental, but is owned and managed by us. It is about 100 yards away and does not impede on any seclusion at the Burnt Whiskey. A 22.5' Weber charcoal grill with table and chairs are also located on the deck. This is a no smoking and no pets property. 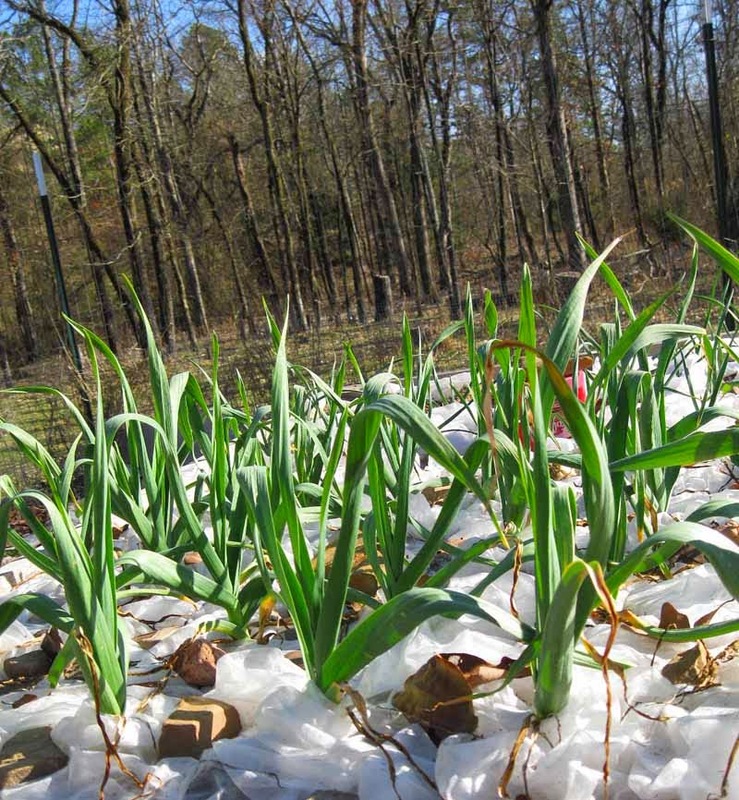 As the days become greener and the nights warmer, the Beavers Bend area slowly awakens from it's unofficial hibernation. The winter months make great indoor fires and pin drop nights. However, it's the budding trees, mix and match chirping, and increasing water temperatures that signal another grand opening for what the area is all about. 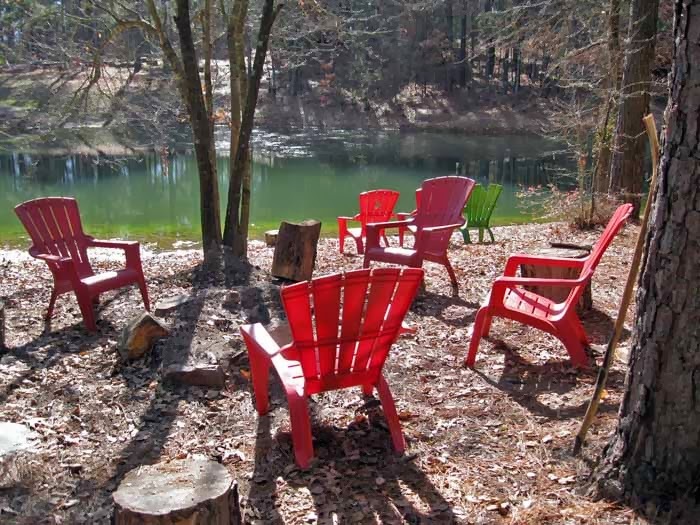 When most plan for a trip to the wilderness of the Kiamichi Mountains, they look online at the variety of lodging options available within a 10 minute drive to Beavers Bend State Park or Broken Bow Lake. After looking at countless websites, they often realize the majority of the cabins in Mccurtain County are located within this distance. Then the question becomes, how much privacy will I have from another home, road, or cabin. Most websites have some type of map, often a drawing, showing their approximate locations in the area. At one time, we used this remedial form of navigation. However, with today's easily accessible up-to-date satellite imagery, potential guests can locate the exact location of their cabin. It's been a few years, but an article I wrote for Ezinearticles would make a great blog post for those thinking about visiting the Beavers Bend or Broken Bow, Oklahoma areas. When I wrote it, there were substantially less cabins built, or being built. 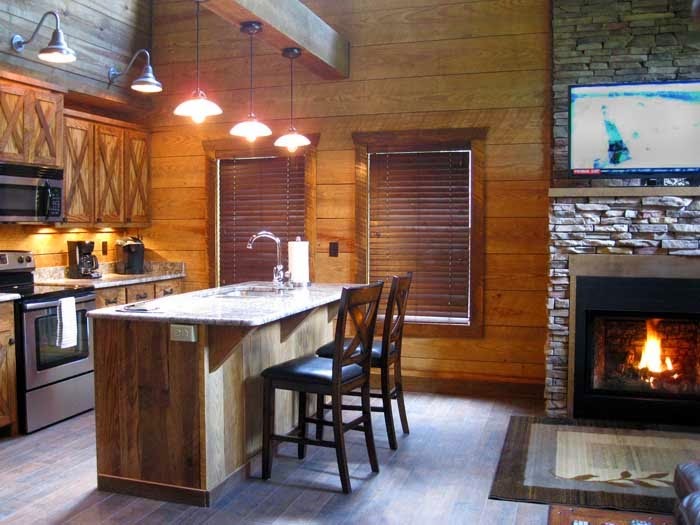 Since we became owners and managers of our two cabins, new developments and areas designated for rental cabins have been popping up. With the expansion and addition of new cabins, comes new questions and concerns. 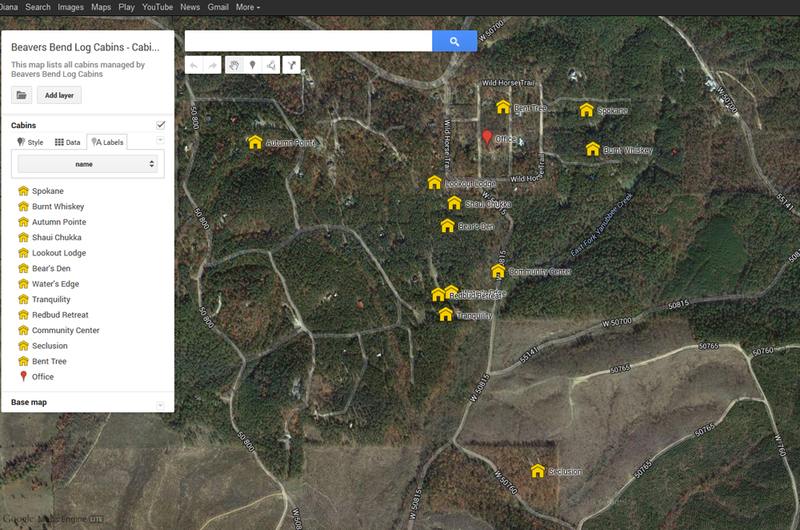 Still, the most concern potential guest's have is how close their cabin is to another cabin, road, or house. While we advertise our cabins as secluded, the truth is, what one person might consider private and secluded may not be to another. For instance, our cabins are on two acres of land. From either of our cabins, depending on the amount of leaves on the trees, you can see two to three other cabins. These are anywhere from 120 to 150 yards away. This is rare for the area, as most cabins are built on one acre or less. We have never had a guest question our marketing of either cabin as secluded, but rather thank us for not deceiving them. Some interested in renting have asked if there is a property that that stands alone. One where they can not see or be seen by another cabin, house, or renter. Now, this is extremely rare for the Beavers Bend area. With the price of real estate at a premium, very few investors or potential cabin owners will pay this much for land just to build one cabin. And if they did, it would be more of a lodge, accomodating 20 or more guests. However, as of Jan. 1 2014, our management company has added the Seclusion cabin. Even though we call it a cabin, it's more of a mix between a rock ranch style house and a cabin. 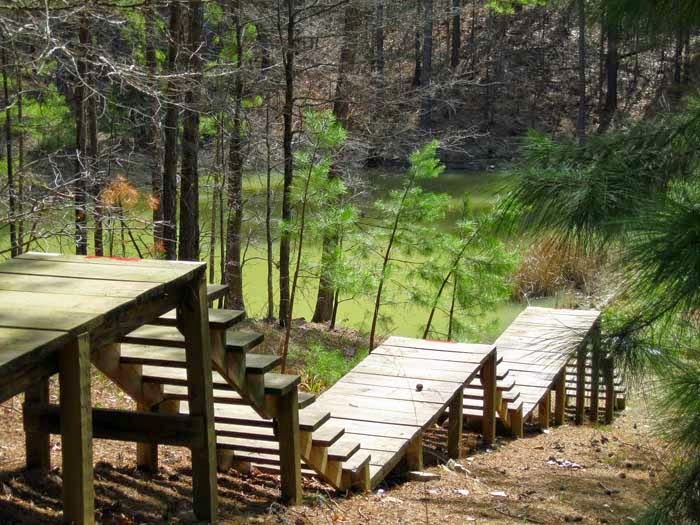 It is one of the most secluded properties in the Beavers Bend area. If you are planning a trip to the area, follow this link to an Ezinearticle article. It may give you a few pointers on choosing where you want to stay.